SCVHistory.com | Newhall School Auditorium Reborn as SCV's Newest Live Theater, 10-26-2017. 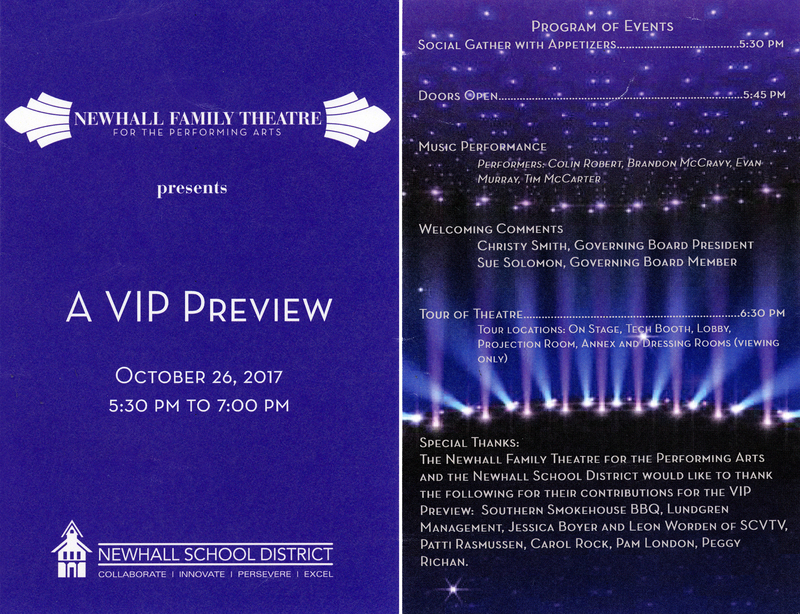 Back in action after 40 years and better than ever, the Newhall School Auditorium has been reborn as the Newhall Family Theater for the Performing Arts. This is the story of its transformation (short version). This video premiered at a VIP reception at the theatre on October 26, 2017. Tony Tartaglia, Southern California Gas Co.